Backgammon, which originated in the Middle East around 3000 BC, is the oldest known parlor game. But these days, nobody even has a parlor, nor the attention to play a game which can last most of an hour! Now, after 5000 years, the problem has been solved! 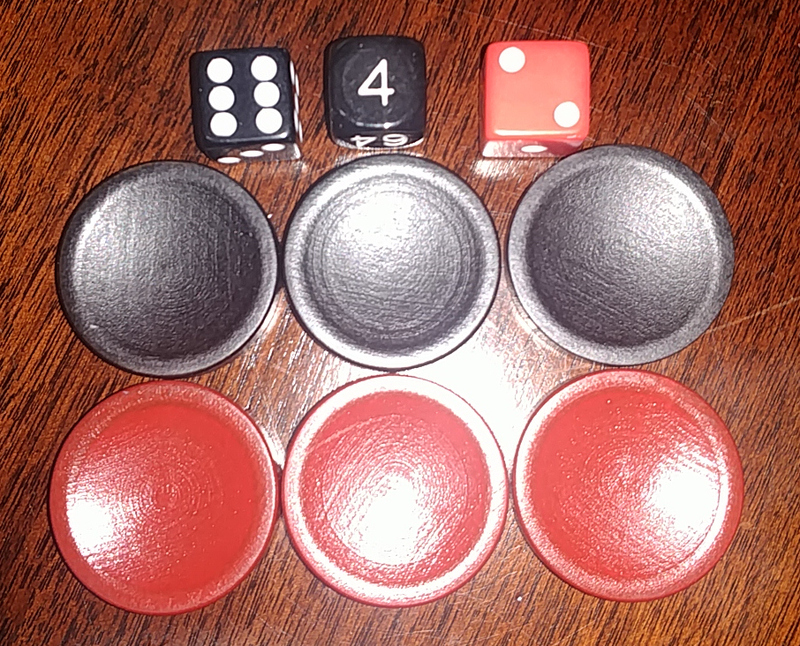 NANNON was discovered in 2004 by a computer scientist searching for the simplest rules for a dice racing game with the most turnabout. The result? An instant classic game which, like TicTacToe or Dots, takes only minutes to learn and play. However optimal strategy is quite subtle and difficult to completely master, especially when playing for stakes with the Doubling Cube. The first collectors edition is not a cheap import travel game, but a high-quality full-size set made with custom US-made wooden checkers, quality dice, and a hand-made folding board. It neatly fits inside an Altoids Tin and can be played anywhere. You get: 6 checkers. Two Dice. Doubling Cube. And our clever folding board has a spare set of rules on the back.